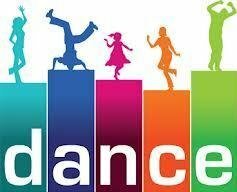 The HMS PTO will be sponsoring a "Glowing Back to School" dance on Friday, August 17th in the HMS gym from 6:00-8:30 p.m. The cost is $5.00 per student. Students will pay their homeroom teachers if they would like to attend the dance. The first 100 students in line for the dance on Friday night will receive a free glow necklace. Concessions will be sold so bring extra money. Let's all support the PTO and encourage our students to attend the dance.